What is The Prepaid Economy anyway? Young Kenyan digital currency blogger Michael Kimani has been asking questions on the future of the “Prepaid” economy, given the rapidly evolving financial landscape of his home country. While Twitter might be good enough for a rapid give and take, it’s constrained as a platform for any meaningful dialogue requiring more than 140 characters at a time. This post is an attempt to synthesize my own thinking about The Prepaid Economy – a project name that evolved beyond its original research mandate of “Why does the prepaid business model work so well for the low income demographic?” – and what I’ve learned since 2008. 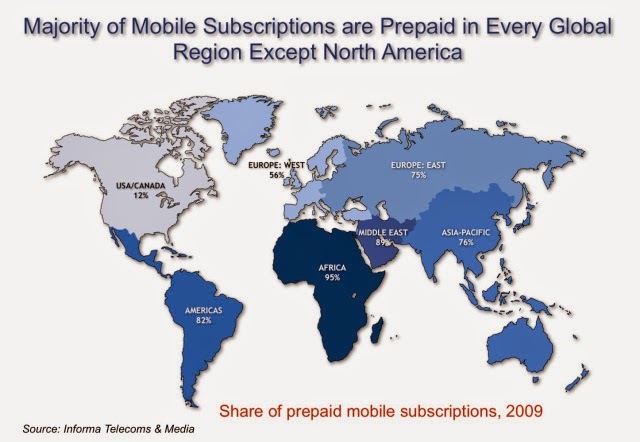 Back in 2006-7, when the rapid adoption of mobile phones across the developing world was making headlines (and profits for emerging market pioneers Nokia), I used to live in the pre-iPhone United States. There was something very different happening in the GSM world of SIM cards and SMS. These millions of new phone owners weren’t signing up for unlimited monthly plans or subscriber billing (i.e. postpaid) paying extra to send a text message. Instead, they were purchasing airtime blocks in advance, to be used for as long as it lasted. It seemed as though it was the prepaid business model propelling the extremely rapid adoption of mobile handset use lower and lower down the income stream. The challenge posed by current business models and payment plans is not the amount that must be paid but the inherent conflict between the regularity of the payments, usually on fixed schedules, against the unpredictability of funds available and irregularity of cash flow. What made prepaid work so well for those who managed their household finances on irregular and unpredictable income streams? And what could we learn from this in order to inspire business models and payment plans for the majority who managed without regular paychecks and access to credit cards and other financial tools? Back then I conflated the prepaid business model and its adoption by those on irregular income streams (both rural and urban) with the Base of the Pyramid. 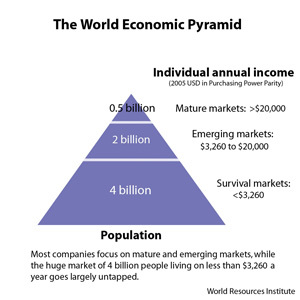 I assumed that the informal economy and the Bottom of the Pyramid’s “survival markets” were one and the same. It took a series of projects in the field, undertaken from summer 2010 through to the end of 2012 that opened my eyes to the realization that the cash based, informal markets operated on their own rhythm and patterns. And, increasingly, as the insights from my own observations and interviews demonstrated, I realized that there was not only no such thing as “the BoP” – the concept itself often hampered the success of enterprises seeking to serve this intended audience. The consumer mindset and buyer behaviour that I’d observed (and erroneously labeled as “bottom of the pyramid”) was an outcome of a variety of factors, not just income level or purchasing power. 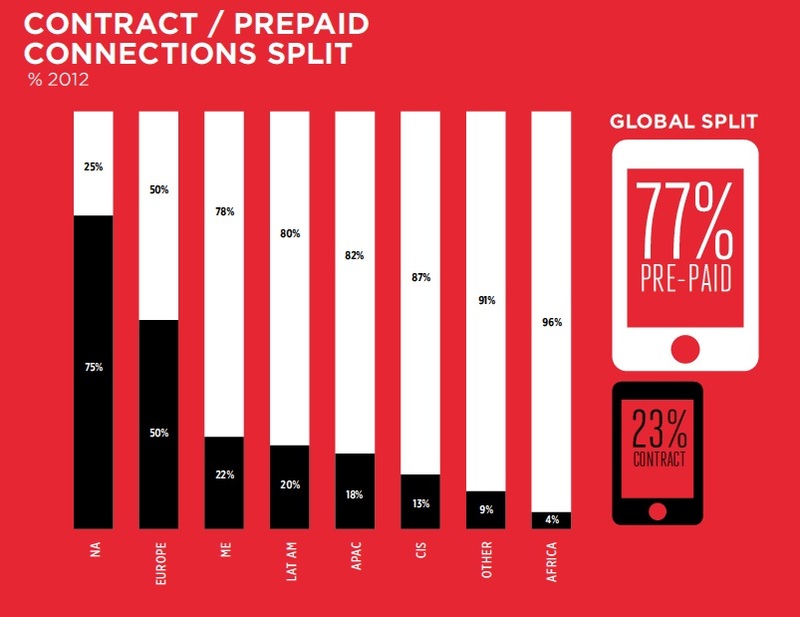 Then GSMA’s 2013 Mobile Economy report showed the global preference for the prepaid business model, not just in Africa. There was a ‘prepaid economy’ that seemed to be more related to the informal economy rather than poverty per se. I took a look from various angles. At the time, I was lucky enough to be involved in a project that let me observe and compare the performance of 4 pilot programs meant to test payment plan and business model variations in two different East African countries for a client’s current and future product range. It led me conclude that what seemed to work for the majority of the customers was linked to the degree of flexibility inherent in the design. 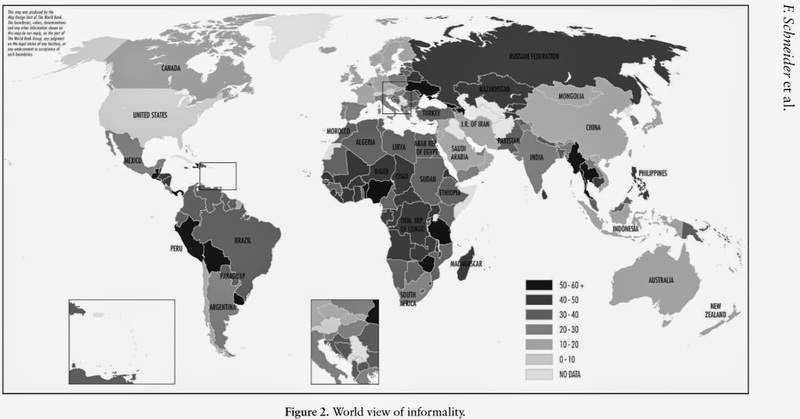 The vast majority of transactions across the continent are still in cash money (although this may change, given current innovations) and the informal sector dominates, especially in retail, in most countries in sub Saharan Africa. Bank accounts and plastic are not yet the norm. Your purchasing patterns are linked to the amount of cash you have in hand, at any given time. This combination of factors drives the preference for payment plans that put the greatest amount of control in the hands of the end users. The prepaid model’s attractiveness has less to do with paying in advance and more to do with the span of control over when you spend, how much you spend, how often you spend. There is no mystery bill at the end of the month, more so when you have no idea how much you’re likely to make this month or week or day. Will mobile money change this behaviour? On one hand, the fact that a mobile money account allows you to keep some float implies that you are now able to consider purchases unrelated to the amount of cash money you have in your pocket. Michael points out various forms of consumer credit being made available and how that is already changing spending patterns. Once an ecosystem of financial services evolve around the core mobile money transfer (payment systems), credit ratings would be available spurring further debt fueled consumption. Would this encourage people to move to postpaid billing? The data from across the world seems to imply not.